Consumer advocate and professional speaker Tom Antion vows to clean up an industry that’s becoming dirtier every day. He’s got a television show and documentary in development to expose the bad people in the industry so you don’t get robbed by them. If you would like to volunteer for “Antion’s Army” contact Tom and tell him how you feel you could help. 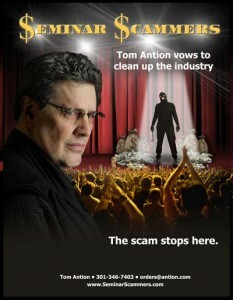 There are far too many scammers out there for Tom’s present team to handle. He is looking for all kinds of assistance. He needs researchers, investigators, law enforcement, former law enforcement, surveillance experts, film & video production expertise, legal, protection services for the crews along with regular people who have been wronged and want to get restitution and help keep others from falling into the same traps. There’s way more to it than you ever imagined. 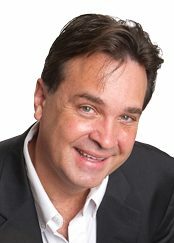 In this insider’s Webinar Tom reveals the secrets only the top grossing speakers know. These secrets will help you to blast through average speakers fees . . .
I’m going to blast through 30 immediately usable tips that can help make you WAY better on stage and help you get your fees up way higher where they should be. Not only that, but use these tips and you’ll get invited back over and over. Offered at three convenient times this week. Tom has done this personally well over 100 times in his career and each time it’s been a win/win/win for him, the group he did it for, and the audience members who attended. How can you beat that? It’s also the number one way that speakers can earn a consistent income in any economy. This is the number one skill I’ve developed to help me make a fortune selling both online and off. In this webinar I teach 5 critical advertising copy techniques every single business person can easily incorporate to help massively increase their bottom line. Anyone and I mean ANYONE can add these five techniques to their business. You don’t have to be a good writer or even be able to spell that well. Even though I’m only going in depth on 5 techniques I’ll be showing you 31 other things used to sell more of your ideas, products and services. Click here to learn to write words that sell. you exactly how to implement it. Tom has built a nice big empire of websites and blogs that make him lots of money and he probably paid less for twenty of them than you paid for one. . .
One “Tip-o-Graphic was repinned over 1.4 Million times and drove over 122,547 website visitors. To create your very own Book-O-Graphic that folks will love and share virally. You can effectively use Pinterest even if you’re not a graphic artist and couldn’t design your way out of a wet paper bag. One unbelievably simple hack can make your graphics jump off the page . . . you want your stuff to stick out like a sore thumb amid all the noise. Just register below and reserve your seat… it’s 100% FREE! Three Convenient Times this Week PLUS Tom will be available to answer all your questions. PLUS: Mike and Jeff will have three super secrets with regard to Video Playlists. This webinar is for established business owners. If you’re starting a new business and want to avoid wasting time and money. => Save you tons of time so you can do more of the things you like to do. You’ll even have a chance to have a complimentary 30 minute business strategy session with me. In this webinar Roberto Candelaria tells you critical elements you must do to get big corporations to fund your projects. => What Sponsorship Is… And Why You Want Sponsors! => Get your book, website, events and dreams sponsored… Finally be able to breath knowing the bills are paid. => How to find the “right” person for your sponsorship… You won’t spend countless hours making sales calls. In this immediate results oriented webinar, you will actually create a piece of usable content in your field and learn how easy it is to crank out content like crazy. 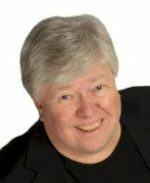 Mike Stewart will show you how to make fantastic video on an ipad or an iphone with a $5.00 app. This is a can’t miss webinar if you want to start cranking out great video without spending a fortune. I tried using brokers and it was nothing but a disaster and a month of wasted time. You MUST learn the cultural differences to be successful in hiring people directly so you can cut out the middle man. Tom, you are the greatest- whenever I have a question you and your team have the answer! I’ve listened to you for 15 years and finally I’m in your 1 year internet marketing training program YAY! I listened to your webinar on publishing Kindle books and it was awesome. Unfortunately I cannot find the link any longer to purchase the program. Will you please provide me a link? 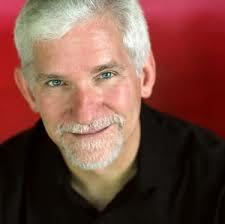 Although he has a great sense of humor, Tom Antion is a “no nonsense” guy who offers solid, quality advice. He “walks the talk” and you can trust what he shares. Tom is the best! Tom is honest! He shares what he has learned. He is always reaching out to improve himself by learning the latest and greatest and then sharing. Tom is NOT afraid to share his knowledge. I clicked on your “get more information here” button for your “Scholarship Opportunity” & it wants me to log in first …. How do I get an account to be able to log in? Hi Pam! Thanks for our interest and sorry for the delay! It’s not asking you to have an account, just to let me know who you are and how to contact you—Name and email address. I’ve just signed up to be one of Tom’s students and can’t wait to start doing lessons. At the same time I plan to listen to most of the seminars on this page. I just heard the one that convinced me I’d be crazy not to attend Tom’s Internet Marketing School.